Having travelled full-time for a few years now, we have tried out many airlines, travel websites, car hire companies and other travel-related resources. We have lots of experience when it comes to getting the best deals and plenty of knowledge of the companies that are easiest and best to use. Here is a list of travel-related products and services that we use, and personally recommend. Click on the images below to be taken directly to the companies websites you are interested in. Trying to find cheap airfare? Edreams is our favorite for booking international or domestic flights because they always have way cheaper flights than you will find on skyscanner, kayak and all the other flight websites. Secret flights has some really,really great deals! The only thing is they have specific dates that you will need to travel on. Webjet is a great site to compare flights prices internationally and domestically. Easy to use and they only charge a small booking fee. Mommondo, like eDreams always seem to find airlines that offer the best deals. You can also view fares in calender view if you are flexible with dates to find the best airfare deals. ​The best benefit of Hotels.com is that you earn a free stay for every 10 nights you book with them. 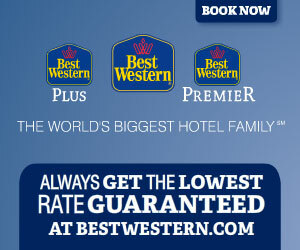 Hotels.com is the quickest, easiest and best way to search for hotel rooms all across the USA. Keep an eye out for secret prices on certain hotels. Air B&B has the biggest directory of apartments, homes and cottages rented out by the owners themselves. The quality is usually much better than hotels in the same neighborhood's but for a lot less in cost. You can even rent out bedrooms in homes for those of you that are on a really tight budget. ​BONUS: Sign up through this link and you'll get $30 free credit on your first stay from us! Home Away is one of our favorite websites for booking accommodation. This is because you can find AMAZING vacation homes for the price of a hotel room in the most beautiful locations (even in area's that don't have hotels!). The website is really easy to use and all of the listings have lots of photo's to make sure it's what you're looking for. USA Specials - Stay stateside and find vacation rentals for as low as $100/night or less. Earn a $50 Best Western Gift Card when you stay 2 separate times! We always use Avis in the USA if we need a rental car. They are the cheapest, have the friendliest staff and will sort any problems you have quickly. They have really nice cars and if they don't have what you want they will provide you with an upgrade at no extra charge. Another bonus of Avis is that they don't charge a one way drop off fee within the state of California. Greyhound buses are a good alternative to flying or renting a vehicle. You can get to locations that are not accessible via air and their ticket prices are very reasonable. In addition, all the new buses have extra leg room, individual power outlets and free wifi. ​One of the secrets of U.S. travel is that the buses are comfortable, usually have plugs and wifi, and are dirt cheap! You can get $1 fares on the Bolt Bus if you book several weeks in advance, but the prices are generally pretty low anyway. For example, you can get a ticket from Vancouver to Seattle for only $8.50! Want to get the best cruise deal? I can't talk about this website enough! ​I will tell anyone who will listen about vacationstogo.com and the amazing deals they have on cruising, not only in the USA but worldwide!! Whether you want a short 4 night cruise, 7 nights or two weeks, Vacations To Go has it all! ​If you don't believe us, check it for your self now. You won't be disappointed. Another great discount cruising website that has some really good bargains for the Bahama's, Caribbean, Mexico & Alaska. Check out some of the deals they have going below. 4 Night Baja Mexico Cruises from $179 on CruiseDirect.com. Get Deal! Princess is our favorite cruise line! We have taken a couple of vacations with them and have never been disappointed. The service and onboard amenities are excellent! We guarantee they will completely pamper you. Select sailings on sale now. 6-day fares starting from $499 during Sun-Drenched Deals. ​Everyone knows about using Skype for video calls home for free, but did you know you can use skype to call anyone anywhere in the world, whether it is a landline or mobile phone? The best thing about Skype is how much cheaper it is to call locally or overseas. We only need to top up about twice a year at $16. ​HelpX is a website where you can find hosts that will provide you with accommodation in exchange for work. The type of work is varied, from fruit picking to animal care to general house keeping. It is a lot of fun and you meet other travelers and get to see what it is like to live locally. ​This is another great website that is a lot like helpx. Lots of work exchange opportunities across the USA and the world, along with some paid work too.